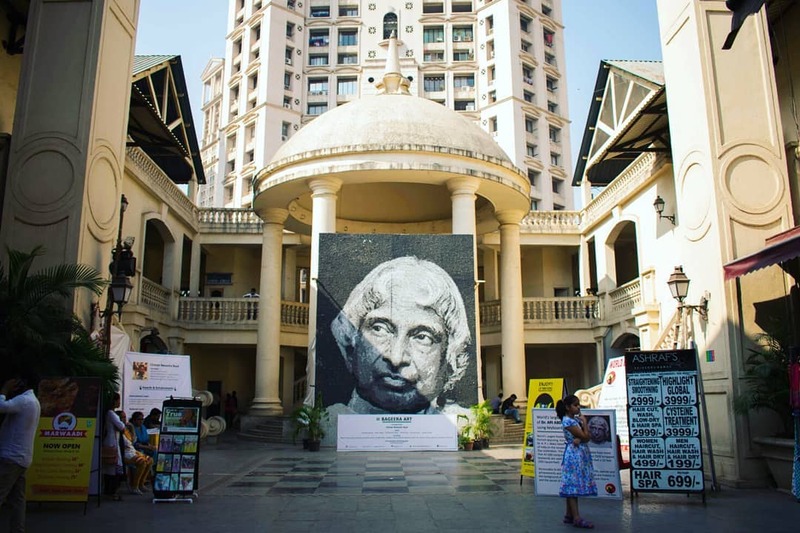 Chetan Raut (Born on October 26, 1988) an Artist of Powai, Mumbai, Maharashtra made the Largest Portrait of Scientist Dr..A.P.J. Abdul Kalam measuring 15 x 20 feet in total 300 sq. ft. in size using 87,000 computer keyboard buttons and set a New World Record at Galleria Shopping Mall, Hiranandani, Powai, Mumbai, Maharashtra on 26th January 2018.